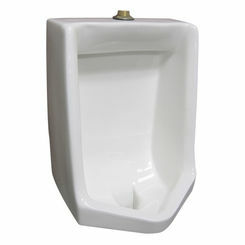 For most businesses, urinals are an absolute must in men's restrooms. 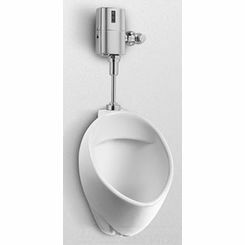 They are easy to clean and take up less space than normal toilets. 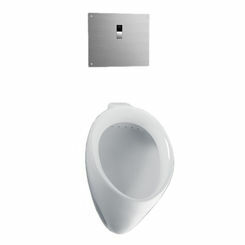 You can choose waterless technology, which is an environmentally friendly solution for your commercial toilet system. 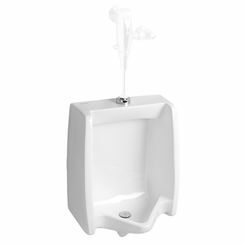 This is precisely why, here at PlumbersStock, we do our best to offer one of the widest selections of discount bathroom urinals on the market. From the best brands (Sloan, TOTO, American Standard), to the lowest prices, we have the best deal for you. 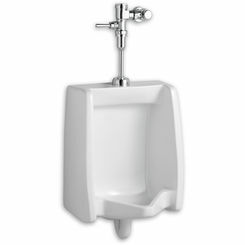 Shop and save on commercial bathroom accessories and components, including screens, washer sets, and flush valves. Stay Uniform: Though bathroom aesthetics don’t really have to be a main focus, it’s still good to at least try to make your bathrooms look decent. 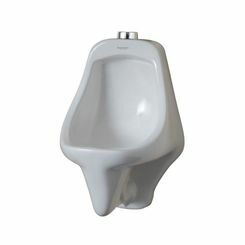 Because of that, if you are buying more than one urinal for a bathroom, it’s very important to buy all the same ones. It just makes your restroom look symmetrical and sharp. 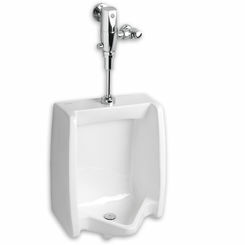 However, a lower, smaller urinal is often a good idea. 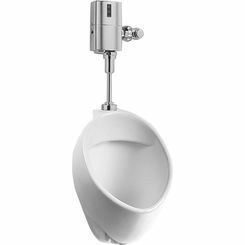 Keep Flow Rates in Mind: Though there is a standard flow rate that urinals and bathrooms cannot exceed, you can choose among lower flow rates to save yourself some money at the end of the day. 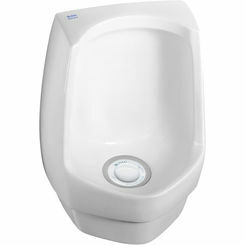 Just remember that the lower the rate, the less effective they will be (unless you are picking a waterless urinal). Keep that in mind, and you should be fine. Brands Matter: It is a good idea to research the brands before you choose. Some might work better, others might be a bit easier to repair, while still others might be cheaper, though they lack in other departments. Know what you are looking for, and pick the brand based on that.  With manufacturers like American Standard, Sloan, Elkay, and more you know that PlumbersStock carries quality fixtures. Multi-Station or Standard: Some companies enjoy the multi-station (or trough) look, while others like to keep it simple. Just know that both have their advantages when picking, and understand those advantages, rather than basing your decision on the look itself. 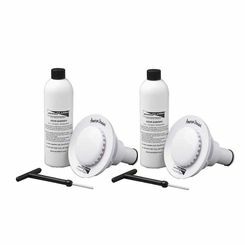 You want something that works great and is easy to clean, more than you do aesthetics. Accessorize: Make sure you have all the right parts and accessories. 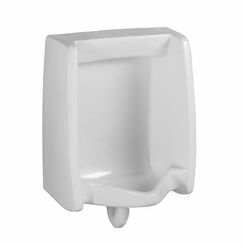 Bathroom urinal parts like screens, cakes, and other products will help maintain your restroom’s cleanliness. 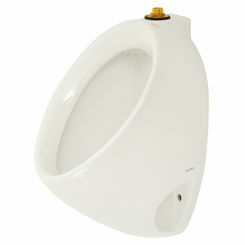 If you are really serious about cleanliness than consider an automatic flush valve for your urinal. 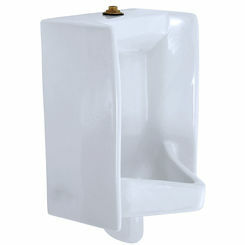 There is technically no such thing as a residential urinal. 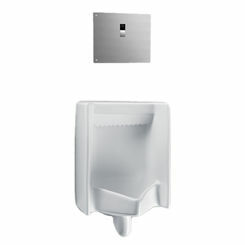 With the installation of a urinal you need a wall that can support both a rough in and a urinal unit. 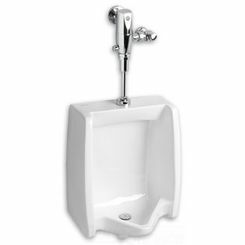 This is a common characteristic in public restrooms, but not so common in homes, which is one reason why you see fewer residential urinals. 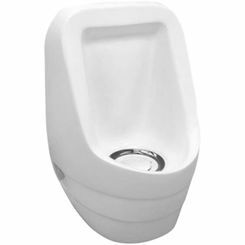 If you do decide to go the waterless urinal route, just know that they conserve water, reduce maintenance time and cost, and are a great way to save money over time. True, they may be more expensive up front; however, the lower water bills every month will definitely begin stacking up within no time. 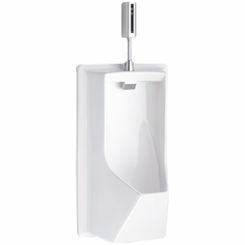 Trust us; they are a cost effective, environmentally friendly way to bring your bathrooms right into the 21st century! 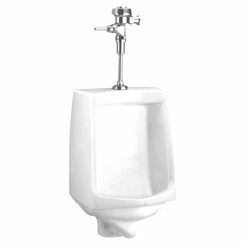 When all is said and done, however, our bathroom urinals—regardless of the type—will all fit your needs. 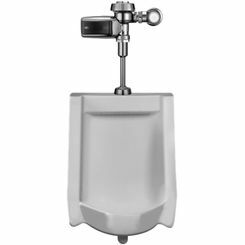 With low prices, quality production, and a host of different types, you will surely be able to find what you are looking for, whether it be a urinal parts like screens or washer sets. Call today for more information!